Mr. Wayne Dyment passed away peacefully at home in Innisfail AB on November 8th 2017 at the age of 77 years. Wayne was born in a farmhouse on Prince Edward Island and lived for more than 50 years in Calgary AB, where he married Maureen (Bradfield). 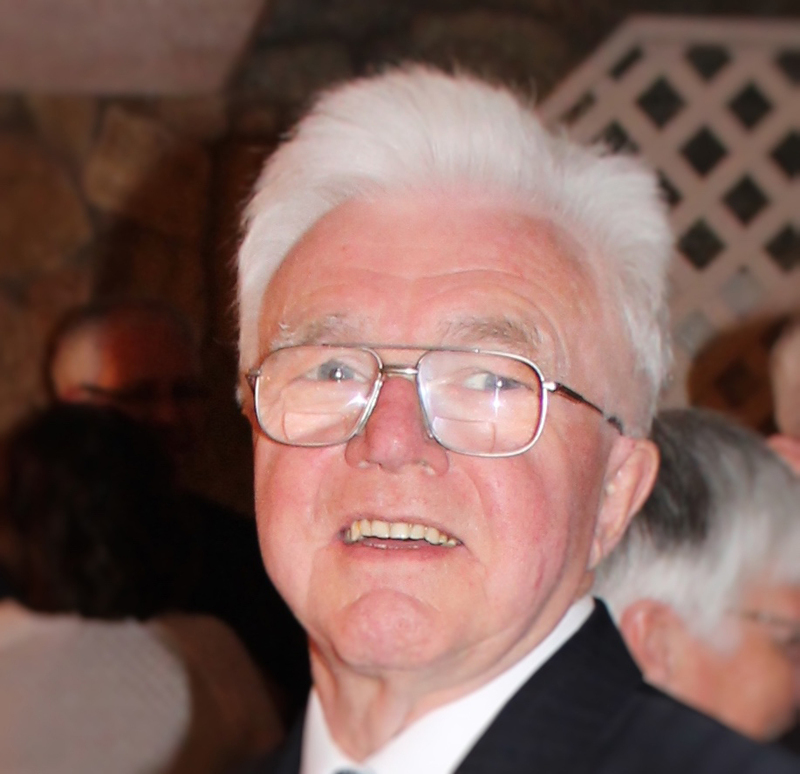 An active Mason, much of Wayne’s life was dedicated to service, as a Past Master of Mt. Lebanon Lodge, Past Associate Grand Guardian of Job’s Daughters AB, and as a Shrine clown. Wayne was also an avid curler and a respected control fitter for RGH Controls and the Calgary School Board. In recent years Wayne made the most of his retirement, returning to his roots, puttering with favourite projects on the farm, including his prized 1943 Farmall tractor, the same kind his father had when Wayne was a boy. Wayne loved everything about the farm and eagerly joined his son-in-law Arnold Begeman, a great support and trusted friend, on many adventures. Following their retirement, Wayne and Maureen moved to the Beverly Cove condos in Innisfail where coffee, kindness and unwavering support was always close at hand. Throughout his life, Wayne opened his heart to one and all. Wayne had many friends, but there were a few who especially dear to him: Laural McDonald, Wayne McDonald, Glenn (Shelley) Petruic, Mooky Cornish and especially Dave Farrell (Nerly), who Wayne thought of like a son, along with Dave’s children Isabella, Adam and Courtney, who called him grandpa. Please, be assured that if you felt blessed to have met Wayne, he felt just as grateful to have met you. But no one is more grateful to have been part of his life than Wayne’s wife Maureen, daughters Pam and Colleen (Arnold), and his grandchildren: Nicholas Petruic and his wife Bora, Jonah Petruic, Elise, and Tessa Begeman. From building full sized Disney castles too driving across Canada, there is literally nothing Wayne would not do for his family; he loved them with all his heart. His greatest love was for his wife Maureen, the love of his life for more than 52 years. Although our hearts are broken, we will carry Wayne’s spirit of optimism, generosity and love with us. Please join us to celebrate his life. Dress casually, bring photos and stories. Visitation for Mr. Wayne Dyment will be held at the Heartland Funeral Services Chapel on Monday, November 13, 2017 at 1:00 p.m.
Funeral Service will be held on Thursday, November 16th at 1:00 p.m.
To send flowers to the family of Wayne Frederick Dyment, please visit our Heartfelt Sympathies Store.